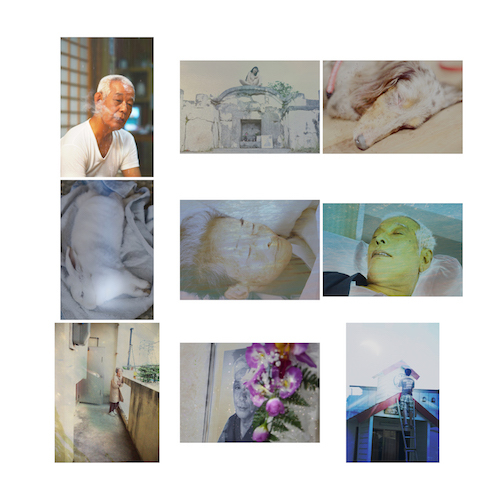 Fotoausstellung „yellow“ by Chica Nanami « Das Japanische Haus e.V. My father and my grandmother passed away by July, 2015. Shinji is gone by September, 2015 that was my rabbit. I’m exhibiting photos I taken that they still live ,and after died and funeral and was going 49days memorials. Think of death is make the best of every day. Days are usually boring but also with love. Nobody lives forever if different nations and generations. There is the right way to dying in order age from oldest. 2018 Chica Nanami, “SuicideNote,” Sutajio shin sekai (Studio New World), September 1, 2018.